Just look at this beautiful silver 2017 Toyota RAV4!! She boasts a mere 16857 miles on the odometer and is sure to give you years of driving pleasure. All Greenlite Car Sales vehicles are free of manufacturer recalls and are GWC Certified. This vehicle has only ONE PRIOR OWNER! We finance, take trade-ins, and ship vehicles door to door. Come in and let us show you how we can make buying your next family vehicle fun and affordable. As a CARFAX ADVANTAGE DEALER, You can buy with confidence! Greenlite Car Sales can guarantee every used car and truck sold has a clean title. No salvage vehicles, no flood damage and no rebuilt titles. If saving MONEY and TIME is important to you, don't buy your next vehicle without checking with us, we make buying easy and affordable without the fuss. We can make the financing process convenient and satisfying with our wide range of Financing Options with Highly Competitive Low Bank Finance Rates. 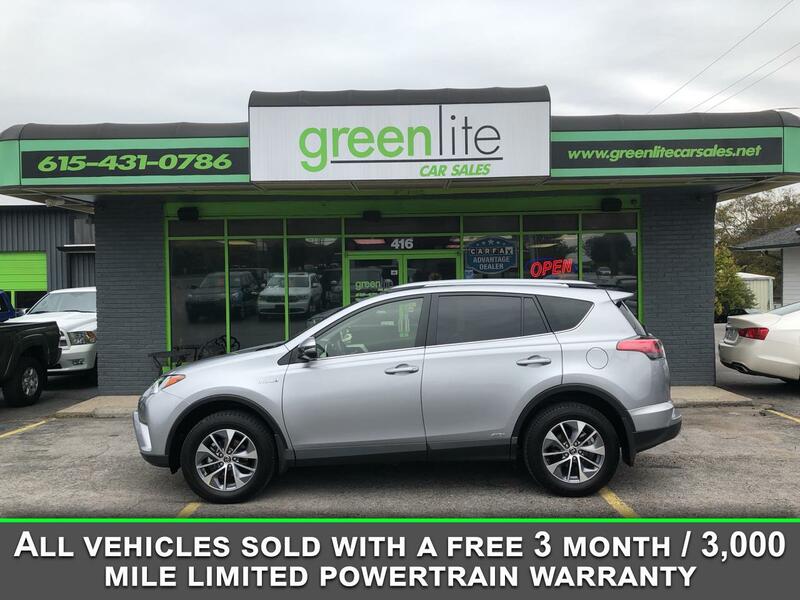 Remember, we at Greenlite Car Sales value our customers and strive to attain a 100% customer satisfaction not only with the vehicle you purchase, but with your overall shopping experience. Call 615-416-3007 and schedule your test drive today! * While every reasonable effort has been made to ensure the accuracy of this information, we are not responsible for any omissions or errors contained in this listing. For your confidence of accuracy, please come in and check out this vehicle for yourself before purchase or contact one of our great sales professionals at 615.431.0786 with any questions or concerns you may have on this vehicle or any other vehicle we are listing.